QUESTION: Martin. 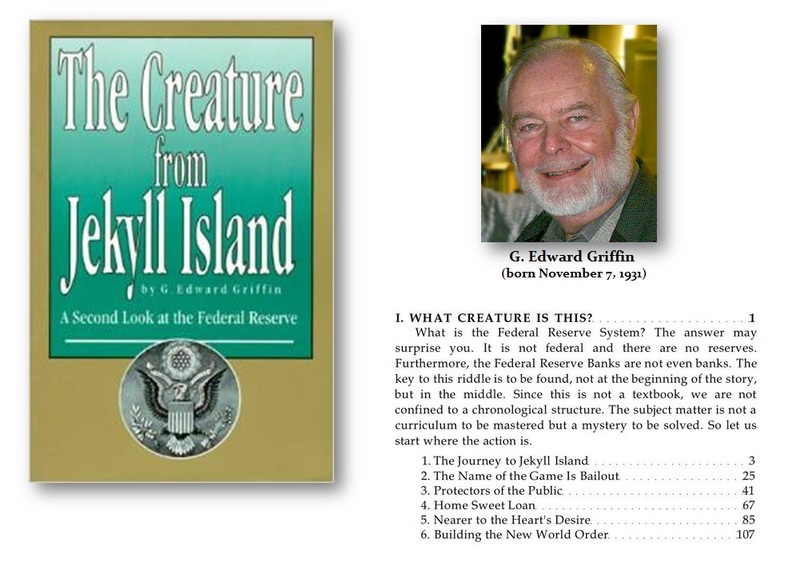 Have you read the book Creature of Jekyll Island by Edward Griffin it is about the Feds and how they control? Many years ago I thought it was fiction but after reading it again it is true. My Question what can we do money will be what they want it to be the control? ANSWER: The book you refer to is I believe is just propaganda. There were even people listed as attendees who were not, such as Charles D. Norton. The meeting was in secret BECAUSE this was the rising period of Marxism, which was very popular before the Russian Revolution of 1917. All bankers were seen as evil. I have written about this before. That book is highly dangerous for it completely misrepresents the facts and fails to understand that elastic money began in the 1850s and was created privately by clearing houses. It worked perfectly fine and it was not economically disastrous but BENEFICIAL! This is the entire foundation of cryptocurrencies all based upon the fact that they ASSUME the Fed is evil. We now have countless cryptocurrencies issued the very same way we had countless banks issuing money before the system collapsed. The ability to create money by the Federal Reserve is essential as originally designed. However, that design was directly beneficial for it would buy ONLY short-term corporate paper in a crisis when banks could not lend. Buying corporate paper saved jobs. The key was a simple fact it was corporate and NOT the government. Corporates have to pay back – the government does not. It was not that the Fed was evil, it was that the Fed was usurped by Congress during World War I and directed to buy only the paper of the government. It was that aspect that has altered the role of the central bank and is demonstrated why the ECB in Europe now own 40% of all government debt and they cannot stop without creating a crisis. Elastic money was a good solution when it actually expanded in a shortage and contracted in surplus. That was ONLY possible when it was corporate paper and when the government ordered government paper should be bought EXCLUSIVELY, the entire system was undermined. 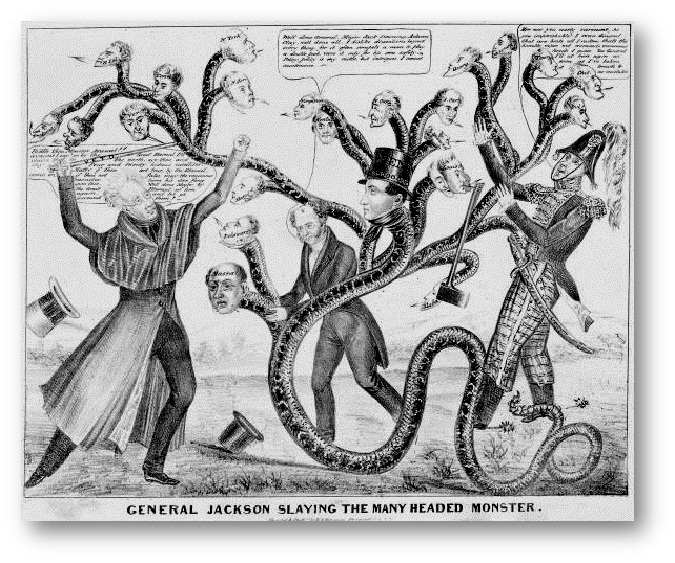 The Creature of Jekyll Island advocates what Jackson did, and that will lead to a massive Sovereign Debt Crisis among the States and undermined the entire economy both domestically as well as internationally. That is by no means the answer. The answer lies in the curtailment of politicians. The banks owned the Fed BECAUSE it was a bailout system that they paid into. It was never intended that taxpayer money would be used to bail out banks. Once the banks became the seller of government debt, they then had a grip on government and with the Fed only buying government debt, the entire system is nothing like the intended design.